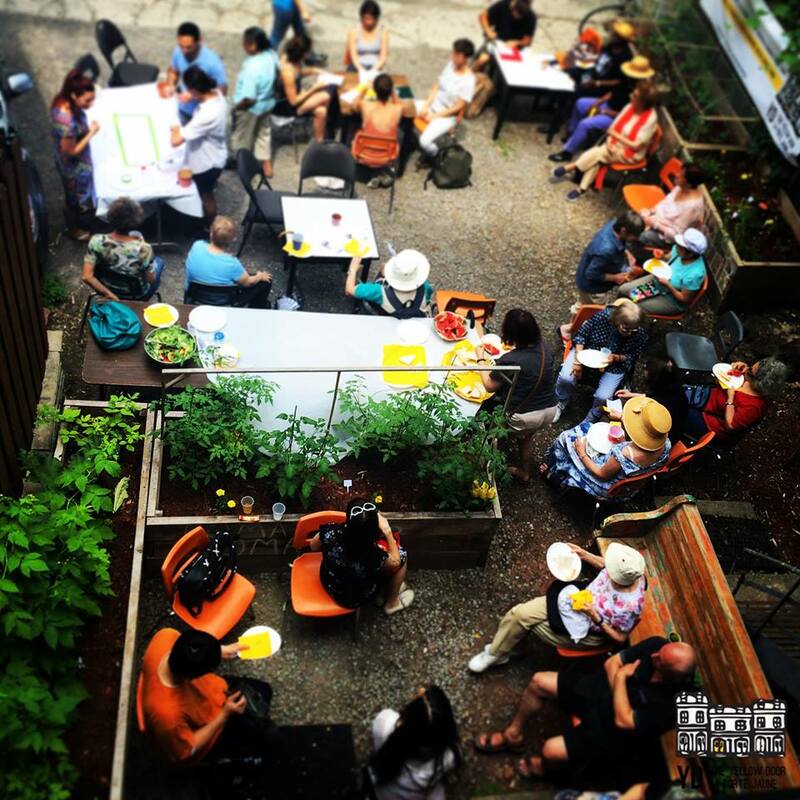 There is a tiny green oasis in the back alley of The Yellow Door, where community members, volunteers and the public can gather to appreciate and learn about urban gardening in downtown Montreal. Started in 2014 as an urban agriculture project, volunteers sow and tend to vegetables, herbs and flowers throughout the summer to encourage sustainable and healthy living. In past years, we have made teas, provided fruits and vegetables for The Rabbit Hole Café and hosted garden parties and other activities. Interested in getting your hands dirty this summer? We are currently looking for a small team of volunteers to help out with the garden during the spring/summer of 2018. Please see the Urban Garden Volunteer Description for more information. No previous experience necessary, all ages and abilities are welcome to sign up!